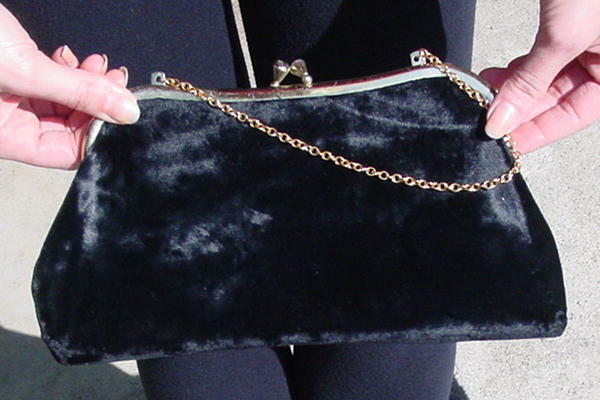 This vintage black velvet purse has a gold-tone bypass closure. 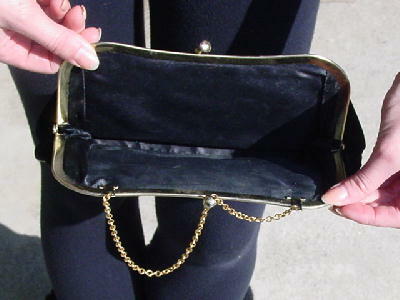 It has a 10 1/2" gold-tone link chain that can be tucked inside so you can carry it as a clutch. There is a black fabric lining. 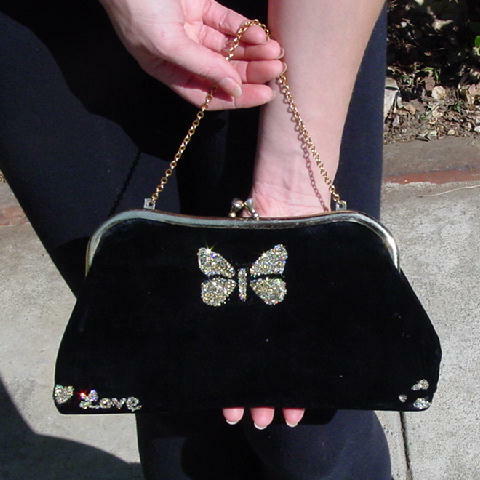 Eden added a gold-based multicolored glitter butterfly (2 1/4" wide by 1 1/2" high) to the top middle of the front of the purse. On the lower left hand corner she drew in glitter a heart (2" wide by 1/2" high) and the word "Love" on the lower right hand corner. She added a side view ladybug in glitter (3/4" wide by 5/8" high). She only did one side, so you don't have to worry about carrying it against your clothes. It makes a very cute and fun piece.